Campeggio Roquetas si trova a Roquetas de Mar, Almeria, è situato vicino al mare. Il campeggio a terrazze dispone di piazzole delimitate, senza ombra e piazzole poco ombreggiate. Camping Roquetas si trova nei pressi di una spiaggia di sabbia e di una spiaggia sassosa. È possibile affittare bungalow. Il campeggio dispone di un parco giochi e di un campo sportivo. Il campeggio dispone di una piscina scoperta e una vasca per i più piccoli. Nelle immediate vicinanze potete fare il bagno in mare. Al campeggio Camping Roquetas è possibile praticare snorkeling, windsurf e sci d'acqua. Ogni anno un ispettore visita il Campeggio Roquetas, controllando oltre 200 tra attrezzature e altri punti di interesse del campeggio. L'ispettore è un dipendente ACSI e non lavora per il campeggio. Large site with numerous toilet blocks, bit soulless but ok for overnight stop during winter months. Area let's it down and access route if following sat nav is dreadful. There are other routes in which should be highlighted when booking. Very busy in January. Lots of long termers. Facilities ok. Felt tightly packed with little privacy. We stayed 4 nights due to illness otherwise would have moved on sooner. Nice location. Big site with large pitch. Plenty of toilet blocks, but heavy use means not usually clean.very reasonable price for a site on the beach with bar and pool. Sadly noise from cars driving around in the early hours, loud music and kids on petrol quad bikes made it too noisy for us so we left next day. We liked this camp site. Toilets and showers clean, plenty of hot water. There is a little shop on site which sells lovely fresh bread. Pitches were very big. Very friendly site. It has a good bar and restaurant, food was good pizzas excellent along with the fish. The area was a little tatty it is set back about half mile from beach. Roquetas was nice, good beaches all along we were road cyclists so great for us. Felt campsite was somehow a bit soulless, not sure why, bit like a half empty car park? Sanitary facilities much on a par with other ASCI sites. Good cycle path to Roquetas but we felt 2 days was enough. Good site well placed for accessing beach (via pathway and small road to cross) and shops (can walk to the local shops but worth noting that there is a modern shopping plaza, including Primark, a 10 min car ride away)! Site has good shop and bar/restaurant and everybody seemed very friendly, though the site does get packed during the Winter season. Would defo go again! We loved this site, once we had got there via the nasty plastic greenhouses surrounding the town it was very pleasant. An easy bike ride to Aguadulce with supermarket, bars and Marina, the site was clean and all facilities excellent.....only cold water at washing up sinks though but a hot tap nearby if you ask! Bar and food very good and friendly staff...didn't really want to leave. We were a little unsure about this site when we arrived. However the welcome was friendly and we soon realised that for a coastal Spain site this is pretty good. It was well managed and maintained. There was plenty of hot water, wifi was free at reception and the coast was a short walk away. The immediate surroundings are nothing to write home about but the coast between Roquatas and Aguadulce was great. Restaurants and supermarkets in both but equally a Mercado within 10 mins of the site. We intend to return here. Very good campsite, between Aguadulce and Roquetas de Mar, near the beach and the promenade along the coast. Weather in winter perfect with sunny days always. Good food and free tapas with the beer. Volete prenotare il Campeggio Roquetas o oppure saperne di più? Potete farlo usando i seguenti dati. E' sulla Costa Almería. A7 uscita 429, a El Parador alla rotonda a sinistra e seguire i cartelli. 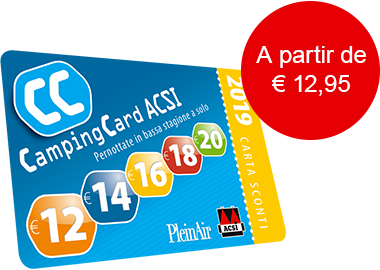 ACSI Eurocampings invia la tua richiesta di informazioni al "Campeggio Roquetas".